A prior post discussed the changes in U.S. implementation of Title III of the Helms-Burton Act that were announced on April 17 by Secretary of State Mike Pompeo and discussed by an Assistant Secretary of State. That same day an unidentified senior official of the Department held a briefing for journalists, apparently at the U.S. Embassy in Havana. Here are highlights of that briefing. Exceedingly important facts are ignored by the U.S. cancelling further waiver of Title III of the Helms-Burton Act, by the U.S. current discussion of the claims by U.S. nationals for Cuba’s expropriation of their property on the island, by the above comments by a State Department official as well as Secretary Pompeo’s April 17 announcement of the changes regarding the Act and by the subsequent briefing by Assistant Secretary Breier, as set forth in a prior post. Fourth, as a result, this blog has proposed, in an earlier post, that the U.S. and Cuba should agree to an international arbitration over this and other U.S. and Cuba damage claims. (Remember every Fall at the U.N. General Assembly Cuba alleges large amounts of damages from the U.S. embargo when the Assembly overwhelmingly approves Cuba’s resolution condemning that U.S. embargo and this Cuba claim would also be part of the arbitration.) This is a peaceful, responsible way to settle these claims, and frequently in U.S. litigation over large, competing claims, settlements frequently occur after the parties become further educated about the merits and risks of such claims. The current U.S. bluster over the Helms-Burton Act totally fails to recognize this solution to the issue of compensation of U.S. nationals for expropriation of their property in Cuba. U.S. Embassy in Cuba, Telephonic Press Briefing with Senior State Department Official on the U.S. Policy Towards Cuba (April 17, 2019). See posts listed in the “U.S. 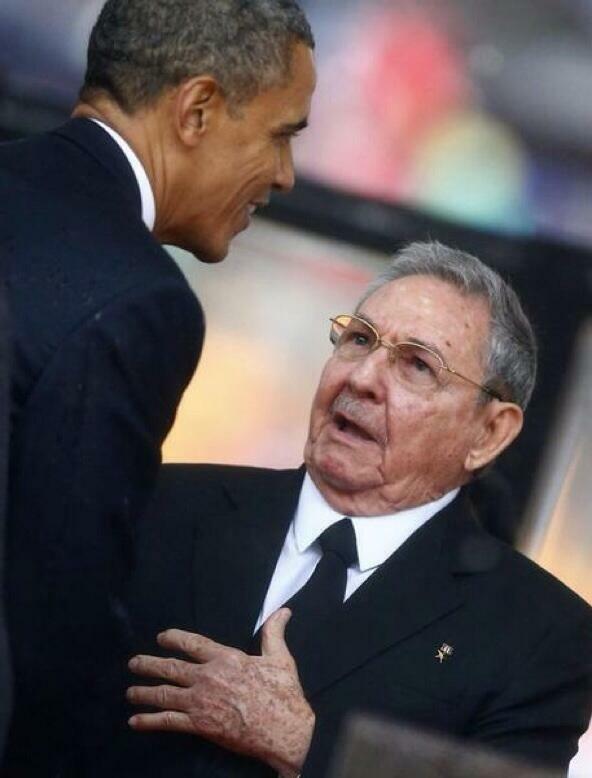 (Obama) & Cuba (Normalization), 2015” and “U.S. 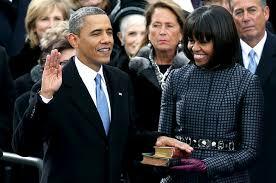 (Obama) & Cuba (Normalization), 2016” sections of List of Posts to dwkcommentaries–Topical: CUBA. On April 17, the U.S. announced new sanctions against Cuba. The major change was eliminating the waiver of Title III of the Helms-Burton (LIBERTAD) Act allowing U.S. litigation by U.S. owners of Cuban property that was expropriated by the Cuban government in the early years of the Cuban Revolution. This Act also allows the U.S. to deny or revoke U.S. visas to any person or corporate officer “involved in the confiscation of property or trafficking in confiscated property,” as well as their family members. For the last several weeks the Administration has been hinting that more anti-Cuba measures were coming. Later the same day (April 17), U.S. National Security Advisor John Bolton in a speech in Miami addressed these new sanctions and other santi-Cuba measures that will be discussed in a subsequent post. Another post will review the responses to these new measures from the U.S., Cuba, Europe and Canada. Baker, Trump to Increase Pressure on Cuba by Lifting Lawsuit Limits, N.Y. Times (April 16, 2019); Reuters, In Major Shift, Trump to Allow Lawsuits Against Foreign Firms, N.Y. Times (April 16, 2019); Assoc. Press, Trump to Allow Lawsuits Over US Properties Seized in Cuba, N.Y. Times (April 16, 2019); DeYoung, Trump administration will allow U.S. citizens to sue over property seized after 1959, Wash. Post (April 16, 2019). State Dep’t, [Secretary Pompeo’s] Remarks to the Press (April 17, 2019); State Dep’t, Briefing With Assistant Secretary for Western Hemisphere Affairs, Kimberly Breier (April 17, 2019). NSPM refers to National Security Presidential Memorandum on Strengthening the Policy of the United States Toward Cuba (June 16, 2017). See President Trump Announces Reversal of Some Cuba Normalization Policies, dwkcommentaries.com (June 19, 2017). See posts listed in the “Cuba: State Sponsor of Terrorism?” section of List of Posts to dwkcommentaries—Topical: CUBA. See Resolution of U.S. and Cuba Damage Claims, dwkcommentaries.com (April 6, 2015). 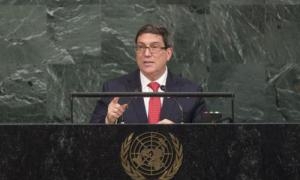 White House, Remarks by Vice President Pence at a Special Session of the United Nations Security Council on the Crisis in Venezuela/New York, NY (April 10, 2019); White House, Proclamation on Pan American Day and Pan American Week (April 15, 2019); State Dep’t, The United States Takes Action To End Cuba’s Malign Influence on Venezuela (April 12, 2019). A prior post reported that the Trump Administration was considering not continuing the waiver of the right of certain owners of Cuban property that was expropriated in 1959-60 to bring litigation in U.S. federal courts. Here are two updates. Second, an anonymous Administration source said that it is very likely to act on this proposal, but limit it to only the 6,000 existing claims and to exempt U.S. companies currently doing business in Cuba. Although this would reduce the harmful effects of such a change, it still is objectionable for the reasons advanced by Engage Cuba. Engage Cuba, Urgent: Trump Administration May Allow Lawsuits for Confiscated Property in Cuba (Jan.—2019). During the week of September 18-22, U.S.-Cuba relations was one of many topics of discussion at the U.N. General Assembly and the U.N. Security Council. Here are those details. 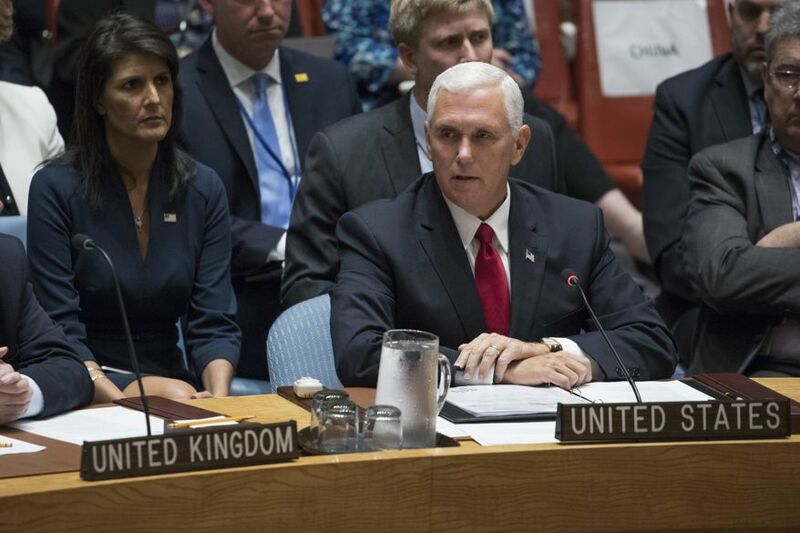 The next day (September 20) U.S. Vice President Mike Pence appeared at the Security Council to support reform of the U.N. peacekeeping function and to vote in favor of a resolution to that effect that was adopted that day. 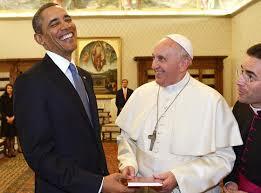 Here is a photograph of the Vice President and U.S. Ambassador Nikki Haley at the Council. The above comments by President Trump and Vice President Pence, while not surprising from their administration, are a most unfortunate retreat from the efforts by President Obama and President Castro to normalize the two countries’ relations and abandon U.S. hostility towards the island. The U.N. Human Rights Council was created by the U.N. General Assembly on March 15, 2006, by resolution 60/251. Therefore, it seems unlikely that the U.N. Security Council has any authority to make changes in the structure of the Human Rights Council, and Vice President Pence’s suggestion that this be done seems inappropriate unless it was intended as a call for the Security Council to recommend that this be done. The lengthy comments by Cuba’s Foreign Minister Rodriguez are also not surprising with perhaps one exception. With respect to the medical problems of some U.S. diplomats stationed in Cuba, he said, “The investigation to clarify this issue continues, and in order to be able to arrive to a conclusion, it will be crucial to count on the cooperation of the U.S. authorities. It would be unfortunate if a matter of this nature is politicized.” All reports to date have indicated that the two countries are cooperating on investigating these issues, and the Foreign Minister’s comment seems to suggest that future U.S. cooperation was questionable. Is this so? If so, that would be most unfortunate and inadvisable for many reasons. The statement about the possible U.S. politicization of this issue is also surprising unless it was an indirect reference to the letter to the Trump Administration by five Republican U.S. Senators led by Senator Marco Rubio (FL) that called for several U.S. actions against Cuba over this problem, including closure of the U.S. Embassy in Havana, as was discussed in an earlier post. This coming November there will be a General Assembly debate and vote on Resolution A/72/50 42: Necessity of ending the economic, commercial and financial embargo imposed by the United States of America against Cuba. It is widely assumed that this will be adopted by an overwhelming margin; the similar resolution last year passed, 191-0 (with two abstentions by the U.S. and Israel), as discussed in a prior post. U.N. Security Council, Resolution 2378 (2017). White House, Remarks by the Vice President to the UN Security Council (Sept. 20, 2017); Assoc. Press, Pence Applauds UN Resolution on Peacemaking Reform, N.Y. Times (Sept. 20, 2017); Reuters, Pence Tells U.N. That America First Does Not Mean America Alone, N.Y. Times (Sept. 20, 2017). The same day (September 20) the U.N. Human Rights Council in Geneva, Switzerland issued a reprimand of Cuba while U.S. and Cuba representatives traded comments on Cuban human rights. This will be discussed in a subsequent post. Rodriguez, Cuba will never accept any preconditions or impositions (+ Video), Granma (Sept. 22, 2017); Reuters, Cuba Urges U.S. Not to Politicise Allegations of Harmed Diplomats, N.Y. Times (Sept. 22, 2017); Assoc. Press, Cuban Official: Still No Clue on US Diplomat Health Issue, N.Y. [InformationTimes (Sept. 22, 2017). On September 19, the U.S.-Cuba Bilateral Commission held its sixth meeting, this time in Washington, D.C. The official statements about the closed meeting do not reveal much of the substance of the discussion. 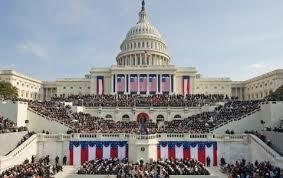 One of the subjects of the meeting was the medical incidents involving U.S. diplomats in Cuba. U.S. State Dep’t, United States and Cuba Hold Sixth Bilateral Commission Meeting in Washington, D.C. (Sept. 20, 2017); Cuban Foreign Ministry, Held in Washington VI Meeting of the Bilateral Commission Cuba-United States (Sept. 19, 2017); Assoc. Press, Cuba Again Denies Role in ‘Health Attacks’ on US Diplomats, N.Y. Times (Sept. 19, 2017); Assoc. Press, US to Press Concerns Over Incidents in Meeting with Cubans, N.Y. Times (Sept. 18, 2017). The so-called “Bilateral Commission” sessions were started as part of the process of normalization between the two countries since December 17, 2014, and have been discussed in prior posts: U.S.-Cuba Bilateral Commission Sets Agenda for Future Discussion of Remaining Issues (Sept. 12, 2015); Results of Second Meeting of U.S.-Cuba Bilateral Commission (Nov. 11, 2015); United States-Cuba Bilateral Commission Meets To Review Normalization Status (May 18, 2016); U.S. and Cuba Hold Another Meeting of the Bilateral Commission (Sept. 30, 2016). CBS News reported that one of the Americans suffering from an incident was the Regional Security Officer, who was the head of security at the U.S. Embassy in Havana. It also said closure of the Embassy was unlikely although there could be reductions of personnel. (CBS News, Investigation continues into attacks on State Dept. officials in Havana (Sept. 18, 2017).